For 25 years Norton by Symantec has been providing anti-virus and anti-malware solutions for personal and business computing. In recent years the leader in online security has shifted primarily to business-oriented software, but they still offer a number of consumer products under the Norton namesake. If you are a fan of the Chrome web browser, Norton has created a line of Chrome extensions that provide a variety of security features to make a safer web for you and your family. In the Chrome Web Store you will actually find 6 extensions under the Norton line-up. Most of these work in conjunction with an existing subscription to one of the Norton services and are required to make use of the service in the Chrome browser. The Norton Family extension is exactly that, an extension that allows parents to monitor internet activity and help their children better manage their time on the web. The extension must be installed on Chrome in order to access and monitor web activity and a subscription is required for the Family Premier plan. You can find more info and details about Norton Family here. Norton Home Page for Chrome will set your default home page as the Norton safe-search page. This can be helpful to encourage safe browsing and if used as the default search engine, can protect your device from malicious attacks. Similar to the Home Page for Chrome is the Norton Safe Search as Default. It does just what you would expect by setting Norton Safe Search as your default search engine. In the screenshots it appears you can add a search bar to the top of the browser. I haven’t been able to get this working on my Chromebook and believe it may be available on PC and Mac only. I will update this post when I find a conclusive answer. 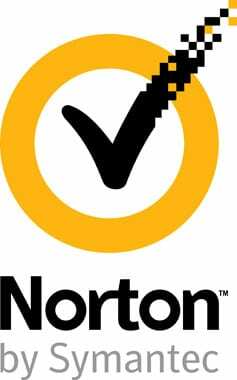 Other Norton extensions include plugins for internet security and anti-virus subscriptions. Once installed, these extensions work behind the scenes in the Chrome browser. You can find the full list of Norton Chrome extensions in the Chrome Web Store.